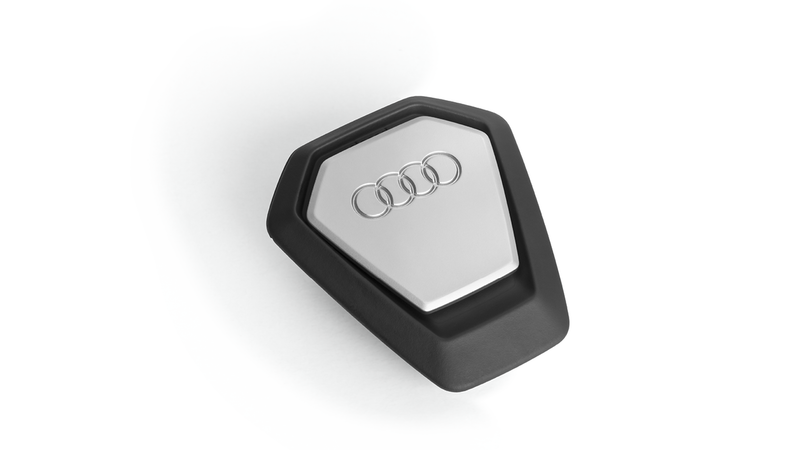 The air freshener, in a distinctive Audi Design, provides a pleasant oriental fragrance in the vehicle. The air freshener can be quickly and easily placed on the fins of the air vent. It consists of a perfumed polymer with integrated fragrance molecules. The air freshener, in a distinctive Audi single frame design, provides the interior with a pleasant fragrance for up to 45 days. The black fragrance stick with an oriental fragrance based on a mixture of bergamot, lavender, exotic flowers, sandalwood and reassuring musk. The intensity of the fragrance can be easily and individually regulated through the adjustment of the aluminium coloured insert. The fragrance stick can be easily removed and replaced by a new fragrance stick, as required. Herby you can choose between 3 fragrance sticks. Provides for a pleasant oriental fragrance in the vehicle. Fragrance molecules are integrated in the polymer.